Ah Serum de Rouge, one of my favourite lippies! I love that they help treat my lips whenever they feel chapped and dry, so if I have horrid dry lips, this is the range of lipsticks I reach for. It doesn’t accentuate the dry skin and helps treat it so it only gets better throughout the day. It looks absolutely BORING in the tube. Just look at that. Blah. But once swiped on skin, its a lovely pigmented soft coral. Pigmented yet light on lips; lipstick yet lipgloss. Love! Here’s another look at it in the tube. Its lightweight but the colour isn’t sheer at all. For me, it applies quite opaque and on me, it does last at least 4 hours till lunch including water and coffee intake. That said, I never seem to have a problem with lipsticks lasting on me at least 4 hours with drinking. I do tend to wipe off my lipstick after lunch so I never measure it past the lunch hour. Oh, I love Serum De Rouge too, and I’m very glad that Dior launched more colors (especially brighter colors)! I agree that the formula is absolutely amazing in terms of moisturizing like a lip treatment! Coral Serum looks very elegant and flatters your skintone a lot! i have 2 of these..
rosewood which is my most favourite of all.. as u said.. my lips but better..
and raspberry when i need more color..
That’s a beautiful and elegant shade. It looks very flattering on you. It’s lovely and I’m getting this! I have 640. I like how it leaves a lovely tint on the lips after it’s all gone besides being moisturizing. 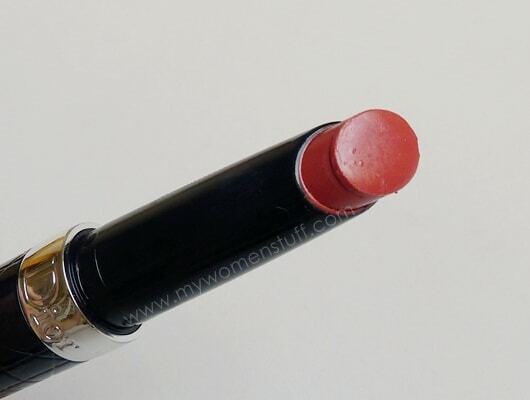 This shade looks so pretty on you! I have Beige and Rosewood but am not a big fan of these. I think the packaging is annoying, what’s up with all that clicking? It drives me batty! Like you, I too found Peach Serum way too pink. Maybe they were looking at the pink side of an actual peach when they named it LOL! Thanks Jan I hope you have found something you might like! 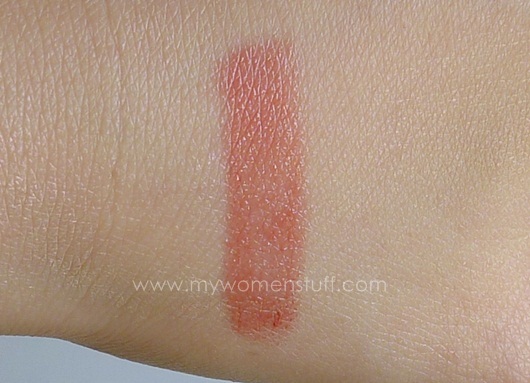 I have this and love it – a great shade for Asian women! Yay Jamilla! I have to agree. It suits our colouring well. Ah… I haven’t tried Lavshuca’s lippies, but I wouldn’t be surprised because lipsticks in Japanese makeup is one of the best I’ve come across although they do tend to be sheer. I bought my second Dior’s Serum de Rouge No. 760 at Incheon Airport, Seoul during my last trip. The price quoted was in USD and after conversion it only cost me about RM96. I used the lippie about 10 minutes before the flight touched down and to my horror it can’t be scrolled down !! I had to go to one of the duty free cosmetic shop where the SA helped me wiped the lippie off the stick so it can be closed properly without sticking on the lid. The SA told me not to click it too much or else it won’t go down..
Oh dear! How very odd. All of mine scroll up and down quite nicely although I don’t turn it up too much, only about 2 clicks. I have heard of this problem from others though so you aren’t alone although it is a pain. I was in love with Dior’s serum de rouge since I got the beige one as a gift. Sooo… I bought the coral and the raspberry ones! 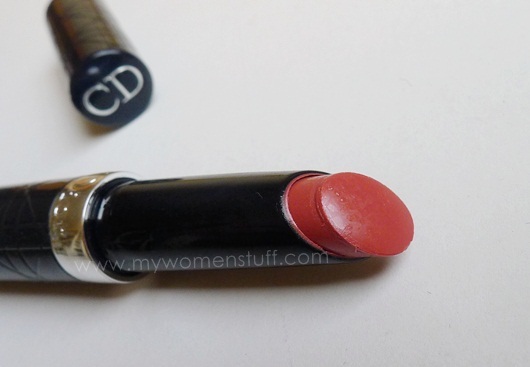 I love both shades but I use the coral one when I’m in need of a more subdued colour to go with darker eye makeup. It really does the trick, without making my lips go unnoticed. And on top of that, it is very moisturising! A true relief to dry lips. Oh btw… I clicked on the close icon on the Friso milk ad and it works now. i.e. the banner disappears. Thanks. LOL! That made me go back and look at it… and yes it does look a bit like caramel toffee!